This cartoon sums up where so many congregations begin the call process. How can we call pastor with tons of personality, who inspires us with great sermons and Bible studies, attracts lots of young families, and increase our numbers of people in the pews and dollars in the offering plate? Now find us a pastor who can do all of this without fundamentally changing anything about us. When churches enter this transitional phase in the life of the church, they do so with much fear, apprehension, and uncertainty. With all those emotions flowing through the congregation, it is no wonder they want to play it safe. They know things will be different from before, so the tendency is to find a Shepherd, who will lead them into this new reality but in a way that does not upset the apple cart too much. So how do we call a pastor that is right for what God will do in the congregation moving forward? Take the time to do a detailed Self-study. What makes this congregation different from all the other congregations in the community? What is our mission to God’s saints in this place and the community in which He has placed us? What challenges might be hindering our congregation’s ability to accomplish this mission? Taking the time to discover clearly who you are and where God is leading, helps you determine the type of shepherd is needed to lead your congregation. In my experience working with over 40 congregations in the call process, when a church skips this step or shortchanges it, there is a tendency to lengthen the time of the vacancy. Because the call committee and the congregation wonder aimlessly into the pool of very talented pastoral candidates with no clear way to align the candidates with the congregational needs. Once the interview process or call goes out and the pastor asked the question: “So why did you feel I was the right pastor for this church?” The leaders and congregation have no clear answer to this issue, giving the candidates a sense that you are not sure what you are looking for, so how can you be sure God is calling him to serve? So take the time to hear clearly from God. May God bless you and may God bless His church. Totally agree with the self -study. There is application for this (in a smaller part) for filling EVERY position within a congregation. The needs and requirements of the position within the congregation should be studied at EACH vacancy, finding the right person at the point in time for the position. Here are a few good insights I have read from the Way of Life. 1)The first and foremost key to fruitful church membership is a real and vibrant relationship with Jesus Christ. In order to submit to godly pastoral leadership and to have the spiritual discernment to know right from wrong in churches, one must be born again and have the indwelling Spirit of God. 2)Abiding in Jesus Christ is the most essential key to fruitful church membership. 3)Another thing we must understand to be a fruitful church member is that the church is a divine institution and it is at the center of God’s work in the world today and is to continue until Jesus returns. 4)Another key to fruitful church membership is to understand is that there are no perfect churches. 5)Another key to fruitful church membership is keen spiritual discernment which enables us to distinguish between the important and the less important issues. 7)Another key to fruitful church membership is to beware of hypocrisy. We must never forget that we are sinners, too. We must not forget that God has been very, very patient and merciful to each of us. We must not forget the long path that has taken us to where we stand today, and how many sins and failings the Lord forgave in order to bring us along in our Christian lives. 8)Another key to fruitful church membership is to be busy building the church to the glory of Christ. 9)Another essential key to fruitful church membership is to bathe all of our judgments in love and mercy and graciousness. It’s the entire body of the church’s responsibility to look at oneself in order to know the needs of the church. Once you have seeked God’s will for the church and pray earnestly, I think the Lord will put the right pastor in the church. I love these. Thank you for sharing. This is so good. I recently went through this very process, almost to a tee. The people who planted the church were all retired, some in their seventies. The church was only a few years old, but they had all been together for decades. They were set in their ways, and admittedly so. Yet, they confidently proclaimed that that they knew they needed a new perspective and fresh energy to reach the community and take the church to the next level. Everything went on fine for several months, but as I prayed I felt strongly that there was an unwillingness to change; that they were expecting me to make a miracle happen, but they weren’t willing to put any skin into the game. They weren’t willing to change or even reevaluate their processes or methods or mindsets. So, I tested them. I told them that they needed to give the worship team a break. (The worship formed half the leadership.) I would lead worship for a month or two. Just me and my guitar. We would start a verse by verse study in Romans. The worship was going to go from 50 minutes to 15, and the teaching was going to go from a twenty minute homily to 50 minutes or more. We were going to start discipling people instead of trying to “sing” them into the kingdom. As expected, they decided that the “Lord” was telling them (after much prayer…ahem…) that I wasn’t as good a fit as they thought. Pathetic. We wonder why the church is shrinking. This article is right on. Thank you. This is what I do for a living. Helping churches find pastors. I should write a book about how it is done wrong. Interesting. I bet you wouldn’t recommend me though, lol. Yes, I think you should write a book about it. The church is following the model of corporate America instead of the leading of the holy spirit in many cases. I don’t know. We clean up your theology a bit. I like you as a pastor. LOL That maybe book two. Book one that I am working on is about race. It things go according to plan I will have it done before the end of this year. sounds good. The Reformation happened 500 years ago. The operative phrase of the Reformers was “Semper Reformanda”, “always reforming”. Yet many aren’t willing to live by that, and are instead stuck in old interpretations and paradigms that haven’t held up to critical analysis. I’ll just keep chipping away. 🙂 Thanks for the nice words. I look forward to your book on race, that sounds very interesting. You have seen samples. That has been what I have been writing about on Tuesdays testing the waters for what kind of response it is receiving. So far very positive. Good information my brother. One thing for certain is that, the person should be called by God and would be the first to know that if he’s been praying for Divine direction. Secondly, that direction should be backed up with scripture. Thirdly, this person called, may not qualify by all appearances, just like David when God chose him to be King, the LORD saw his heart that it was after God’s own heart. Fourthly, there is a great amount of trust, prayer, and communication that needs to take place over a period of time. If the Lord sent him to you, are you going to discharge him because he’s not exactly the perfect pastor. We need more faith then that. It is a difficult process which requires a lot of prayer that this man of God, Who sent him, has a vision for the Body of Believers. That’s most important. But the real faith comes in when, (designed by God), the new pastor has a new vision for this congregation. For all anyone knows, this may very well be a much better plan and direction. If we are praying for this person, then we will have faith from the Lord that the new Shepherd, Pastor, is hearing from God. It’s not always about those who are Elders and Deacons who have been there the longest and know what’s best! The man God sends, should be given the benefit that he is listening to God and verifying his calling through the scriptures, and you all have been praying for him, and there has been good communication between the Leadership. It’s called, flexibility. God work in various ways. I shared this with you from the outlook of a person who has been involved in ministry for over 35 years. That may not mean much, but it’s just a different way of looking at what a pastor should be concerned with before jumping on board without thinking. God bless you and your family, paul montoya I found your blog to be a pleasure. Thank you and I welcome that perspective . You nailed all the key points church and shepherd need to be praying about throughly all throughout this divine process. Thanks for reading and adding great comments. Your blog posts are a blessing Keith and I’m thankful for a brother in Christ like yourself to be able to build each other up in the word, and most importantly, in His Love. God bless you and your family my brother! Thank you. That means of great deal to me. It has truly been a blessing listening to God and doing this. It has become a ministry of love. Amen brother! We must stay focused and remain vigilant as Christians. Our world is falling apart and we have the truth and always be ready to give an answer to any man who asks the reason of the Hope within us, with meekness and fear. 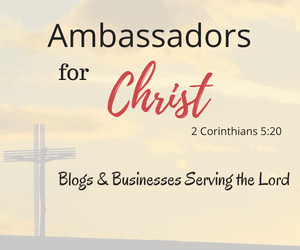 Blogging is one tool of many and God is faithful in bringing unsaved bloggers to read about God’s word and how faithful and Loving our Lord truly is. I’m glad to know you my brother! God bless you! Glad to know you as well. Keep sharing the message of hope to a lost world. Blessings. This is so true! Especially the older the folks in the congregation are and how many embedded families there are in the Church. We all say we want “hope an change,” but when it comes differently from what we anticipated, we are disillusioned and unhappy. Change is difficult!! !